It was probably inevitable that Gillian Robespierre and Jenny Slate’s Obvious Child would be greeted as “the first abortion rom-com.” That’s like catnip to critics and headline-writers everywhere, and it’s true as far as it goes. But having finally caught up to seeing the movie, I think it also obscures the bigger story: that Obvious Child is something of a miracle, a film that could’ve sabotaged itself at almost any step of the way but ended up being one of the most charming, funny, and welcome movies of the year, with one of the best lead performances. 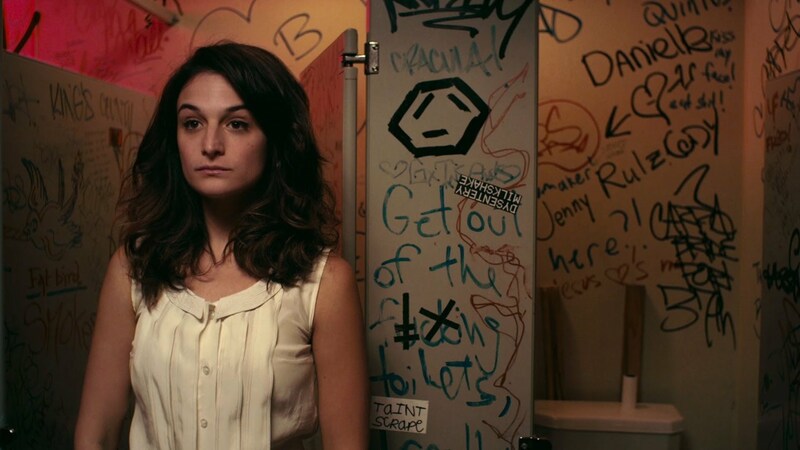 In what can only be described as the ever-clichéd “breakout role,” Jenny Slate stars as Donna Stern, a struggling stand-up comic who we first meet on stage at a small club, right before her boyfriend dumps her in favor of a mutual friend he’d secretly been seeing. She doesn’t take it well – she describes standing outside his apartment to get a glimpse of them as “some light stalking,” and later has a truly cringe-comic, drunken breakdown during a set. But that same evening, she ends up meeting Max (Jake Lacy), at the bar and, encouraged by a friend and fellow comic, spends the night with him. 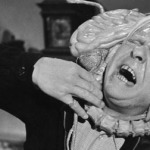 Flash forward a bit and … uh-oh. Her competing recollections of that night – “Didn’t you use a condom?” her friend asks. “Well, I know a condom was there.” – are hilarious and real, but facts are facts and she now has to deal with this. What’s so interesting about how the film plays out is her complete lack of wavering or agonizing over her choice, and the emphasis on Donna’s personal agency. There’s an emotional scene with her mom (Polly Draper), who discloses she also had an abortion in her youth, under much more difficult and dangerous circumstances, but the film, thankfully, never becomes a tear-jerker. It has a point of view, of course, but deftly navigates the personal and political. Its focus is on the relationships between characters and on Donna herself, working through her issues on stage and in conversation, not melodrama or tortured pathos. To call it refreshing would be an enormous understatement. Lacy also deserves serious credit for his portrayal of Max. In what could’ve been a thankless role as Nice Guy and/or Big Nerd (“I bet he knows Santa,” Slate observes), he also gives a lived-in and funny performance. In a pivotal scene, his face reflects his initial discomfort about Donna’s decision, but he also never once falls into melodrama. Max is basically a pretty stand-up guy trying to do the right thing, and Lacy makes him a lot more appealing than he could’ve been. But everyone knows Slate’s the real star here (along with the script). She’s fantastic – witty, silly, and fart-obsessed (here’s to a leading lady who thinks farts are hilarious). And also extraordinarily self-aware, with an undercurrent of anxiety that she keeps at bay with jokes. She feels very much like someone you might meet, or might already know. Slate is sure to have a higher profile thanks to this performance, and that’s a really good thing.